SKU: ST10T-B. 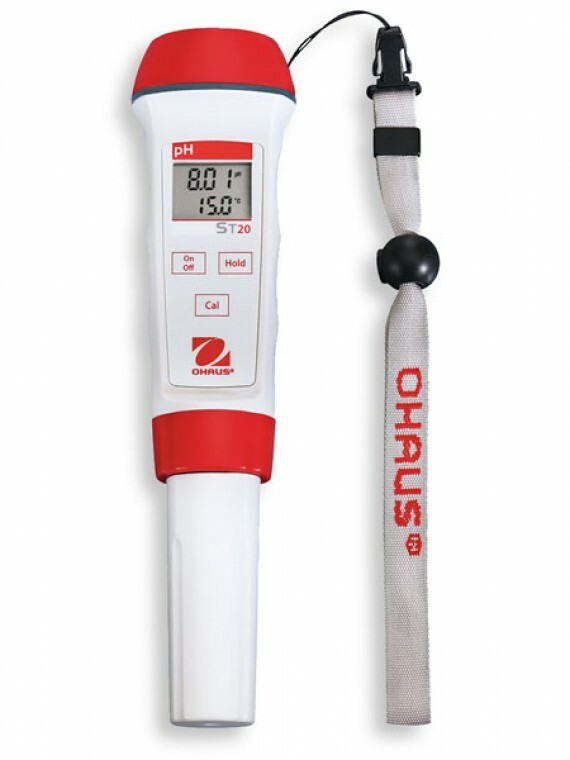 Category: Ohaus Starter Water Analysis Pen Meters. 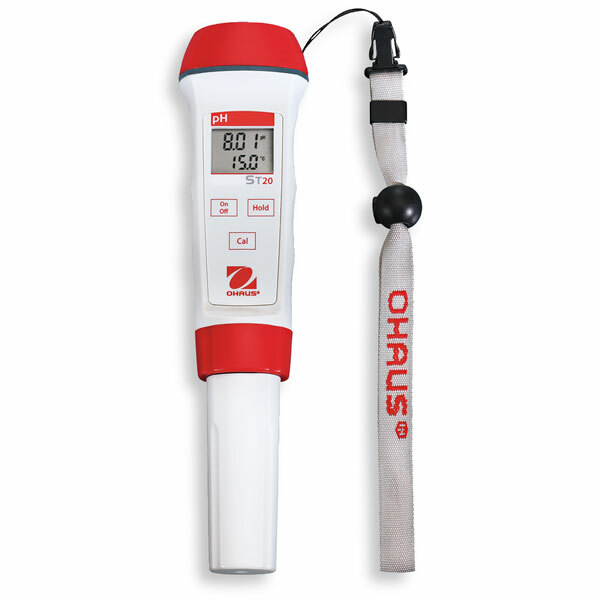 The Ohaus ST10T-B Starter TDS (total dissovled solids) pen is a simple and easy to use hand held meter that measures TDS from 0 to 1,000 mg/L. The meter features an IP67 waterproof housing and a CT10B ST replaceable electrode and wrist strap. Simple Operation in a Slim and Portable Design – Starter pen meters provide what should be expected of a small pen meter: simple, fast, straightforward, no-frills yet highly accurate operation time and time again. Durably Constructed to Withstand Wear and Tear Resulting from Repetitive use – With durable plastic housing, a protective cap that safeguards the sensor and an automatic shutdown feature to preserve battery life, the Starter pen meters can endure consistent use in rugged environments. Waterproof Housing Protects the Meters in their Working Environment – Equipped with a wrist strap that helps to prevent unintentional dropping, Starter pen meters are constructed with an IP67 waterproof design that can prevent water damage when accidentally dropped into liquid. Features -Simple Operation in a Slim and Portable Design - Starter pen meters provide what should be expected of a small pen meter: Simple, fast, straightforward, no-frills yet highly accurate Operation time and time again. -Durably Constructed to Withstand Wear and Tear Resulting from Repetitive use - With durable plastic housing, a protective cap that safeguards the sensor and an automatic shutdown feature to preserve battery life, the Starter pen meters can endure consistent use in rugged environments. -Waterproof housing Protects the meters in their Working Environment - Equipped With a wrist strap that helps to prevent unintentional dropping, Starter pen meters are Constructed With an IN67 Waterproof Design that can prevent water damage when accidentally dropped into liquid.